Competing in Mussanah Race Week or in the Laser World Championships also held there later in the year, is an exciting opportunity in itself. However, the chance to travel to Oman and explore this country steeped in history and its rich culture, along with its natural wonders, is an added bonus. If you are unfamiliar with Oman and what it has to offer its visitors, here we provide an overview of what you can look forward to during your visit, along with some practical information. Rainfall is very low year round. Temperatures vary, but in March and November they can reach as high as 30°C. January is the coldest month, though temperatures never tend to fall below 17°C and typically are around the mid-twenties. Oman has a long history, with evidence that it was first settled 10,000 years ago. Its location – surrounded by the Arabian Sea, Arabian Gulf and Sea of Oman – has influenced its culture, as this has facilitated travel both to other lands and has allowed others to settle here. Arabic is the main language, but English is widely spoken, making it easier for visitors during their stay. Oman is a Muslim country, but the people are very tolerant of other religions and cultures. It is one of the more liberal Middle Eastern countries, but it is still advisable to be conservative in the way that you dress and it is best practice for women to wear clothing that covers their arms and legs; though you can usually be more relaxed in hotels, bars and restaurants. However, swimwear is acceptable in pools and at beaches. Traditional food consists of lightly spiced chicken, mutton or fish with rice and vegetables, but due to Oman’s cosmopolitan nature International cuisine is widely available. It is illegal to drink alcohol in public places, though this can be easily purchased from licensed bars. The recommended 4 star Millennium Resort at Al-Mussanah, situated on the Gulf of Oman, offers modern and luxurious accommodation with views on all sides of the marina; some rooms additionally look out over the Hajar Mountains. Here you are perfectly situated for the race week and you have access to their 54 berth private marina. The hotel also offers a swimming pool and is in the process of developing a gym, spa and tennis courts. Their private beach fringed by palms serves as the ideal spot for relaxation, but if you want to do more than take up position on one of their sun loungers, make use of the volleyball and soccer courts. Hotel rooms and self-catered apartments are available and if staying in the hotel all meals can be provided. Guests have a range of dining options. At Mydan an International buffet is available and Moroccan and Far Eastern cooking combine at Al Bahar; snacks and cocktails are on offer at The Deck, while coffee and cakes are served in the Naseen Lounge. The transfer time from Muscat International Airport to the Millennium resort is only 45 minutes and transport via coach or taxi can be arranged on booking. It’s possible to rent a car directly through the hotel, but you require an international driving license and an induction on local driving. While the road signs can sometimes be difficult to read, the added freedom that having a car allows certainly makes up for this inconvenience. 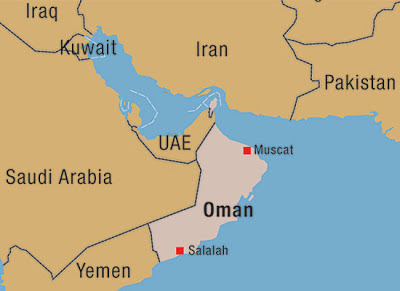 There is currently no mainline railway in Oman and although plans are underway, it is not expected to open till 2017.It is popular for visitors to take taxis, but you need to be prepared to haggle to get a fair price; the hotel staff can advise you on what would be a reasonable fare to pay. If you would rather take public transport buses are available, but you can also join coach tours to popular attractions. Visitors are attracted to Oman by its combination of cultural sites and natural beauty; often the two are very closely linked. Al-Mussanah is situated around 75 miles from Oman’s capital, Muscat. The area of Old Muscat – around which the modern city has grown - is favored by visitors and its small size makes it amenable to explore on foot. With its white washed buildings, many of which date from the medieval period, it is surrounded by city walls built in the 16th century and entry to the old city is via a magnificent gate. One of the most striking buildings is the Al Alam Palace with its blue, white and gold pillars, which is the residence of the sultan. Old Muscat also boasts two forts built on the hillsides, though these are not open to the public. Don’t miss a stroll around the picturesque harbor during your visit. The Muscat Gate House Museum, which tells the history of Oman and particularly focuses on Muscat and the royal family, offers an impressive vista of the city and harbor from its roof top. A visit to Old Muscat would not be complete without wandering around its market, where local traders display their crafts and textiles. 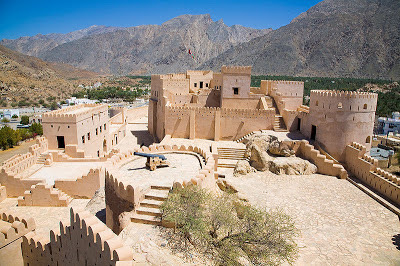 Oman has many forts and castles, two of which are within easy reach of Al-Mussanah. Nakhal Fort – set amongst the Western Hajar Mountains at the foot of Mount Nakhal – is a 25 mile drive to the South East. Built in 1834 it is one of the most remarkable landmarks in the region with its imposing towers; its architecture is intriguing, as it is built around unusually shaped rocks, which form part of the structure itself. The building has been renovated and is now filled with crafts and antiques. The nearby Thuara hot spring has been popular with visitors for centuries, as its mineral content is considered to have health enhancing properties. Al Hazm Castle is also a must to visit. This 18th century castle with its two towers is particularly impressive, as at their narrowest the walls are over 8 feet thick. Visitors can see its courtyard and living quarters, as well as its two escape tunnels, one of which is 19 miles long and leads to the Ar Rustaq Fort. Oman is blessed with almost 2000 miles of coastline, which draws sailors and divers from all over the world, not to mention those seeking its pristine sandy beaches. Al-Sawadi beach, 19 miles away from Al-Mussanah, is considered to be one of Oman’s most beautiful beaches. It also features numerous rock islands in close proximity to the shore, which are home to a wealth of birdlife. The beach is as popular with those wishing to soak up the sun, as divers keen to explore the nearby reefs and those who wish to try their hand at kitesurfing. Additionally, boat trips to observe whales, dolphins and turtles can be booked. It is also possible to take one of the mini cruises to the Daymaniyat Islands situated just 10 miles off the coastline. These nine islands with their white sand beaches are an important nature reserve and classed as one of the best places to dive and snorkel off Oman thanks to their crystal clear waters and the array of sea life that they support. Just off shore you can explore the coral reefs, which are awash with colorful fish and clown fish, barracuda and turtles are also commonly seen. Hiking in the Hajar Mountains offers visitors breathtaking views and while you can undertake this yourself, it is advisable to hire a guide. One of the most rewarding treks is up Jabal Shams - translated as Sun Mountain – which at its summit reaches almost 10,000 ft and is the highest point on the Arabian Peninsula. The An Nakhr Balcony is a deep ravine, which can be viewed from the summit, as can the tumbling waterfalls, which have shaped the valleys below. It is important to remember that the temperatures at altitude are considerably lower and over the winter in particular it can feel cold as you near the summit; if you intend to hike remember to pack adequate clothing. Not only are the mountainous regions beautiful, but their geological importance has been recognized by the creation of 30 geoheritage sites around Muscat and Al-Mussanah, which allow visitors to learn more about the geology of the area. Smart phone applications are available to help guide you around the sites and provide information on the geological processes. Phenomena that can be seen include mini and major folds, Jurassic bedding, schist bedding, pillow lava and limestone faults. As you can see, when not participating in events, Oman has a wealth of attractions for you and your family to enjoy. Make the most of your opportunity to visit this enchanting country with its varied landscapes, historical sites and possibilities for leisure activities. Thanks for the info. 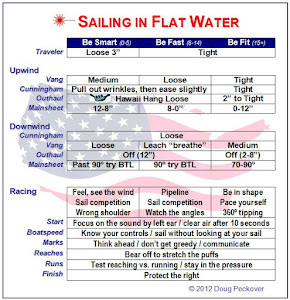 I would definitely like to sail in the Masters Worlds in Oman - although I haven't yet convinced my wife to come with me as she usually does to the Masters Worlds. My own research left me thinking I wasn't going. Being female, and American, and a Texan, I figured my nature might be incompatible with the region. 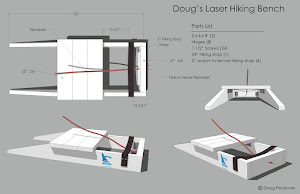 When I read stuff like women are "allowed" to do this and that, I was pretty sure this was a trip Doug would enjoy without me and that he should embrace his country of birth and put CAN on his sail instead of his usual USA. But, I talked with a friend who has traveled in many of the surrounding countries and I read this post and decided I'd be crazy to pass up an opportunity to go and experience something so completely different. Mussanah Race Week seems like sort of a dry run so hopefully we'll hear encouraging reports from those that go. I seem to recall hearing that the confirmation of GGM full rig is supposed to come before the end of the year. 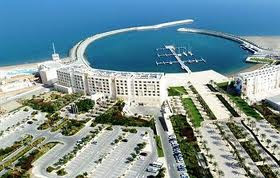 I strongly encourage anyone to visit Oman - a very friendly population, great sightseeing and an experience not to miss. 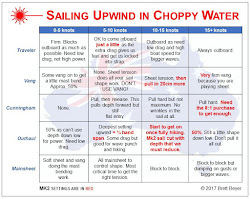 Our sailing club in Abu Dhabi is participating and I hope that any of you coming will also take the opportunity to come sail with us in Abu Dhabi - which is an easy drive of about 5 or 6 hours on a modern 4 lane highway (or very short flight). And Pam, no worry about being a woman in Oman - it is not Saudi Arabia and it is a very friendly place. Very few women are veiled. They even put together an all women racing team last year - Omani women who had never sailed before. And no anti-Americanism at all. No Taliban. A very laid-back atmosphere. Of course, it is not Las Vegas and a bit of common sense is expected. Alcohol is available only in the large hotels and you should be able to buy some at the airport. Pork is difficult to find and not something to bring in your suitcase. Resorts in Mt. Abu - Let your soul get stimulated with the vibes of nature. Mt. Abu is a destination which is known for its diversity, secularity and diversity. Resorts in Mt. Abu are the best place for the tourists to enjoy particularly in the summers to escape the hot sun rays. Sometimes ya just gotta have fun!